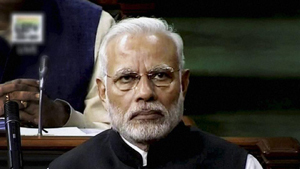 The Cabinet on Thursday approved a National Commission for Socially and Educationally Backward Classes as a constitutional body. The new panel will replace the National Commission for Backward Classes (NCBC) that looked into the inclusion and exclusion of OBCs for quotas, among other issues. Being a constitutional body, the recommendations of the panel would ordinarily be binding on the Centre. The government has decided to train about 1.65 lakh teenagers in the age group 15-19 to share correct information about sexual health with their peers. 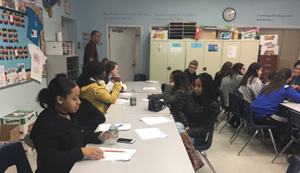 The teenagers would feel more comfortable discussing their problems with peer educators from within their own community, officials said. The educators will answer adolescents’ queries from sexual and reproductive health to substance abuse. 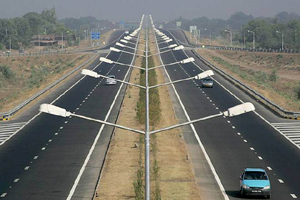 The Centre on Wednesday approved projects to construct National Highways in Meghalaya and Mizoram at the cost of Rs.6,721 crore. Work on the 403-kilometre project will begin during the financial year 2017-18. 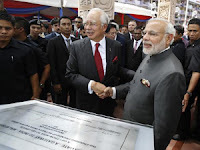 It will improve infrastructure in Meghalaya and Mizoram and enhance connectivity with inter-state roads and international borders, read an official statement. 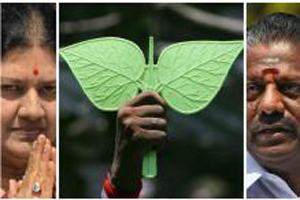 The Election Commission on Wednesday blocked the usage of AIADMK’s name and ‘twin leaves’ poll symbol after it was claimed by the faction led by O Panneerselvam. The ex-Tamil Nadu CM had rebelled after he was allegedly asked to step down by AIADMK chief Sasikala Natarajan. The EC also asked both factions to choose different symbols for the upcoming by-polls. 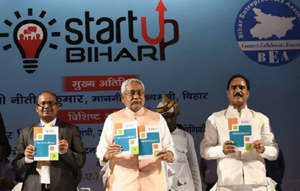 Bihar CM Nitish Kumar released the state’s startup policy at the Bihar Entrepreneurship Summit on Tuesday. “We have given the youth and entrepreneurs a revised startup policy, and set up a Rs.500-crore fund to encourage and facilitate entrepreneurship,” the Chief Minister said. Kumar also asked the shortlisting committee for the funding applications to be more communicative to ensure transparency. The Bihar government on Wednesday launched a programme to provide free WiFi facilities in colleges and universities. “The objective is to provide free Wi-Fi facility to help youths to move ahead in life and to become [digitally] smart,” Chief Minister Nitish Kumar said. However, Kumar had earlier asked students to use this facility to download books instead of films. India has been ranked 131 among the 188 countries surveyed for human development, according to the UN’s Human Development Report for 2015. 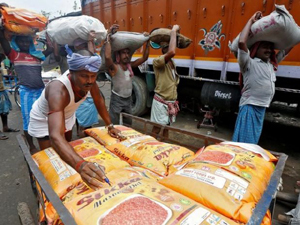 India has made no improvement over its ranking in the 2014 report, which was also 131. India’s rank puts it in the “medium human development” bracket, which also includes Pakistan, Kenya, and Nepal. Prime Minister Narendra Modi will launch Asia’s longest bi-directional road tunnel on the Jammu-Srinagar National Highway on April 2. The tunnel will reportedly cut down travel time by two hours. The Rs.2,519 crore all-weather 9.2km tunnel which cuts the road travel from 41km to 10.89km, equipped with world-class safety features, was built in a record four years, Transport Minister Nitin Gadkari said. 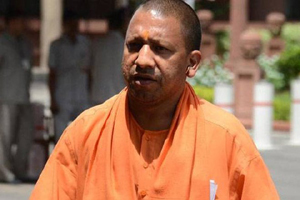 The newly appointed Uttar Pradesh Chief Minister Yogi Adityanath on Wednesday banned the consumption of gutkha, paan, and paan masala in all government offices across the state. The order was reportedly passed after Adityanath spotted gutkha-stained walls and staircases in the old CM’s office. 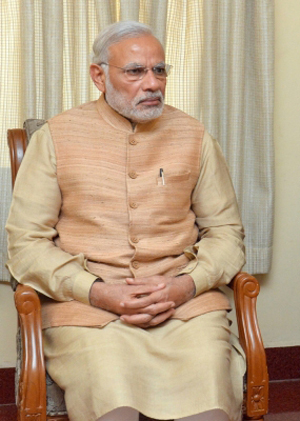 Earlier in the day, he also ordered a ban on cattle smuggling in the state. In Jammu and Kashmir, 3 Day Jashne Nauroze Archery Tournament 2017 organized by District Police Kargil started off today at the premises of Tourist Facilitation Center, Kargil. Deputy Commissioner/CEO, LAHDC, Kargil Haji Gulzar Hussain in presence of Senior Superintendent of Police T. Gyalpo declared the tournament open. 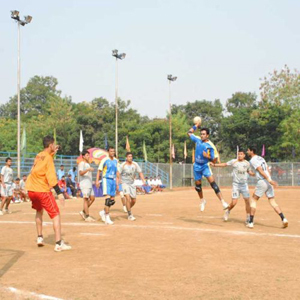 The opening match was played between IG Bemathang and Chanchik Archers which was won by Chanchik Archers by 10 points. 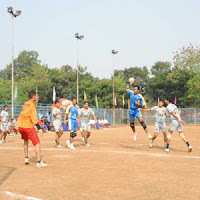 Besides a total of 12 matches were played during the day. The Gujarat Assembly has passed bills for the establishment of four private and two government-run universities in the state. The assembly has passed Birsa Munda Tribal University Bill, Gujarat Organic Agricultural University Bill and Gujarat Private Universities (Amendment) Bill today. 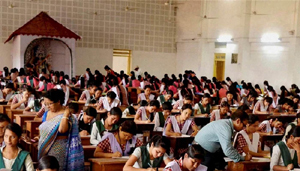 While placing the Tribal University Bill on the floor of the House, Tribal Development Minister Ganpat Vasava said the government had earmarked Rs 20 crore to establish the university at Rajpipla in Narmada district. 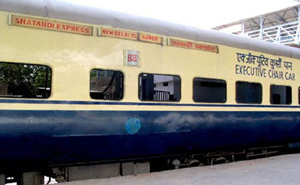 The Union Minister of Railways Suresh Prabhu on 22 March 2017 announced the scaling up of VIKALP Scheme for waitlisted passengers at a progrmme held in New Delhi. Besides, the minister released the water management policy of Indian Railways to mark the World Water Day and also presented GreenCo Certificates to three units of Indian Railways. While the Water Policy covers all aspects of water use, recycling, conservation and recharge of groundwater, the certificates were presented to Diesel Locomotive Works (Varanasi), Perambur Carriage Works (Chennai) and Lalaguda Carriage Workshop (Hyderabad). The Union Cabinet, chaired by the Prime Minister Narendra Modi, on 22 March 2017 approved the proposal for Amendments to the National Bank for Agriculture and Rural Development (NABARD) Act, 1981. 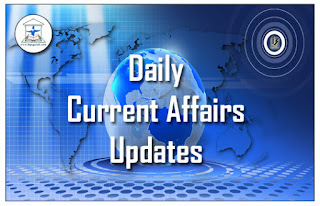 Amendments to National Bank for Agriculture and Rural Development Act, 1981 include provisions that enable Union Government to increase the authorized capital of NABARD from Rs 5000 crore to Rs 30000 crore. It also proposes to increase the authorised capital beyond Rs 30000 crore in consultation with RBI, as deemed necessary from time to time. It also proposes the transfer of 0.4 per cent shareholding of RBI in NABARD to the Union Government. The shareholding of RBI amounts to Rs 20 crore. The Union Cabinet, presided by Prime Minister Narendra Modi, on 22 March 2017 was apprised of the Memorandum of Understanding (MoU) signed between the Indian Computer Emergency Response Team (CERT-ln) and the US Homeland Security Department on cooperation in the field of Cyber Security. The MoU was signed on 11 January 2017 in New Delhi. 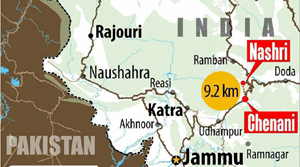 In Pakistan, a court today ordered authorities to ensure separate counting of Sikhs in the nationwide census. Earlier, Sikh community members filed a plea for not being counted among the religions included in the first national headcount in 19 years. The Peshawar High Court ordered that the section of Sikhism be included in the religion column in the census form. 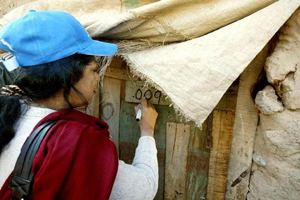 The first phase of the 6th census which started on March 15 had clubbed Sikhs with the Scheduled Castes of the country while separately counting the Muslims, Hindus, Christians and some other groups. 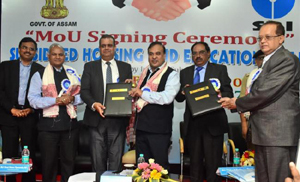 A MoU was signed today in Guwahati between Assam government and State Bank of India to provide Housing and Educational Loan at subsidised interest rates to the employees of the state government. The Assam Government will provide interest subsidy at the rate of 3.50% for housing loan and at suitable rate to make education loan at 4%. Accordingly, the state government employees will get substantial benefit in terms of interest rates and reduced EMI. 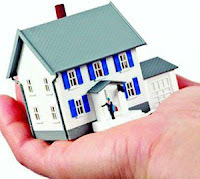 Home loan applicants with annual incomes from Rs.6 lakh to Rs.18 lakh per annum will be eligible for interest subsidy on housing loans. The subsidy has been enabled under the new Credit Linked Subsidy Scheme for Middle Income Groups (CLSS-MIG) by the Ministry of Housing and Urban Poverty Alleviation. In Uttar Pradesh, three-time BJP MLA Fateh Bahadur has been appointed as Protem Speaker of the newly-constituted Assembly to administer the oath to newly elected MLAs. Governor Ram Naik has also nominated four MLAs – Samajwadi party’s Durga Prasad Yadav, BJP’s Ram Pal Verma and Fagu Chauhan and BSP’s Ramveer Upadhyaya – to assist the Protem Speaker during the oath taking sittings. 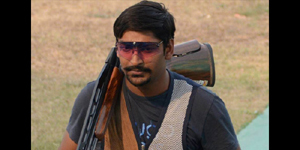 Indian shooter Ankur Mittal equalled the world record in the double trap event, winning the gold medal at the International Shooting Sport Federation World Cup in Mexico on Wednesday. Mittal finished with a record score of 75 to win his career’s first World Cup gold. 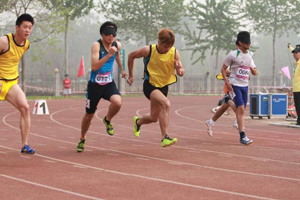 He had earlier won a silver in the same competition in New Delhi last month. The Indian football team registered its first away win in an international friendly since 2005, after their 3-2 win over Cambodia in Phnom Penh on Wednesday. Sunil Chhetri, Jeje Lalpekhlua and Sandesh Jhingan scored for India, while Khuon Laboravy and Chan Vathanaka scored for Cambodia. India will next face Myanmar in AFC Asian Cup 2019 Qualifiers on March 28. With 3 gold, 1 silver and 4 bronze medals till the second day of competition, India ranks at the seventh spot out of 48 participating countries. Sundar Singh Gurjar clinched a gold each in the men’s Javelin Throw F-46 and Discus Throw F-46 competitions. The third gold for india was grabbed by Narender Ranbir in men’s Javelin Throw F-44 with an effort of 47.75m.